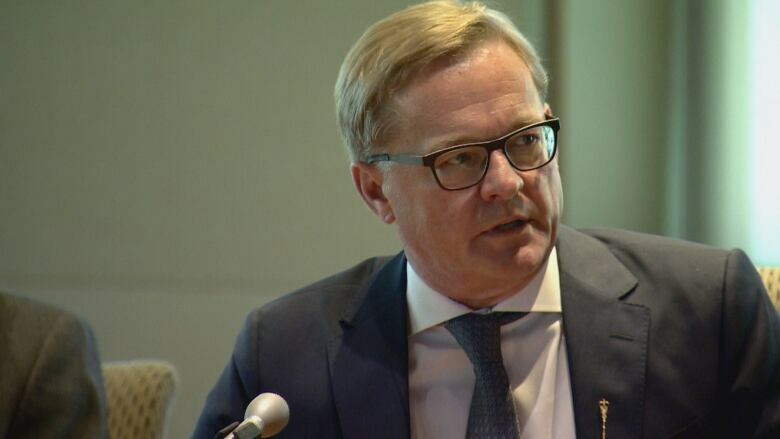 Alberta's election commissioner is considering a $5,500 penalty against right-wing media outlet The Rebel Media for allegedly breaching election financing law with a billboard targeting Education Minister David Eggen. In a letter to Rebel founder Ezra Levant dated Jan. 14, election commissioner Lorne Gibson said an investigation found the company spent roughly $2,730 on a billboard with the message "40% of Grade 9 students failed provincial exams — Alberta can do better than David Eggen www.FireEggen.ca." The investigation was in response to a complaint from Elections Alberta, according to the letter. The billboard is considered a political advertisement, and Rebel Media is not registered as a third-party advertiser, Gibson said. Across Alberta, 13,800 students in Grade 9 — a third of those who wrote the exam — failed the provincial achievement test in math. Levant fired back on Twitter Friday, calling the investigation "thuggish behaviour" and an attempt to censor the media. He also posted a link to the commissioner's letter and a response from the company's lawyer. "The government has convicted us of an offence without showing us the complaint or permitting us a reply," Levant tweeted. 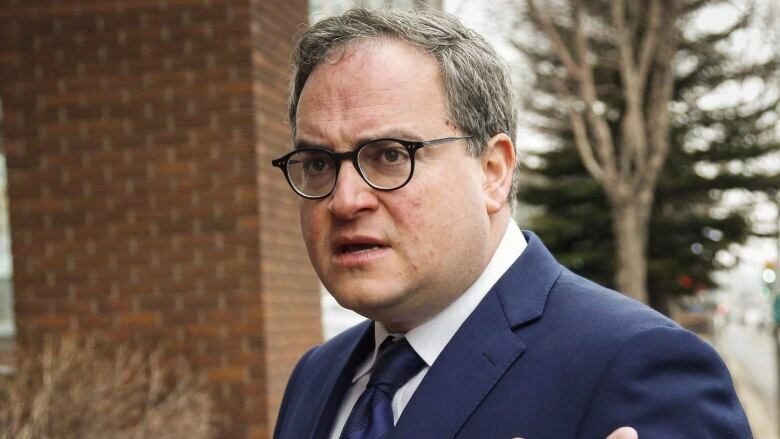 Read: The election commissioner's letter to Rebel Media founder Ezra Levant and Rebel reporter Keean Bexte. Levant did not return a request for comment from CBC News. The Office of the Alberta Election Commissioner works independently from government to investigate and enforce the Election Act and the Election Finances and Contributions and Disclosure Act. Rebel Media reporter Keean Bexte, named alongside Levant in the commissioner's letter, unveiled the billboard on Nov. 23, 2018 in a YouTube video. In the video, Bexte said the cost of the billboard was crowdfunded as part of the outlet's campaign to fire Eggen. The billboard is seen on the side of a trailer on the Queen Elizabeth II highway near Innisfail, Alta. A third party is required to register with Elections Alberta when it spends or plans to spend more than $1,000 on election or political advertising. Third party advertising that takes place before Dec. 1 preceding an election year is considered political, rather than election advertising. The commissioner said the billboard "intended to convey a message that opposes a member of the Alberta Legislative Assembly," which is a measure of political advertising under election finance law. Lawyer Fred Kozak, who represents The Rebel, said the commissioner didn't follow the requirements of the law to first seek the outlet's input and disclose the details of the investigation before considering a fine. "It is definitely an infringement of free expression," Kozak said in an interview with CBC News Saturday. "The second basis of the appeal may well be that the legislation itself is constitutionally suspect." Read: Rebel Media's legal counsel responds to the election commissioner. Kozak has previously represented CBC and other Canadian media organizations. "Free expression is a charter right and any restriction has to be justifiable and that may also represent one aspect of our appeal," he said. The Rebel intends to file an appeal to the Court of Queen's Bench of both the "conviction" and the $5,500 penalty, Kozak said in a written response to the commissioner. A third party person can be fined up to $10,000 if found guilty of the election finance law. The fine jumps to up to $100,000 if the third party is a corporation. In a post on its website, Rebel Media claimed Premier "Rachel Notley is coming to kill" the media outlet, adding that the fine is just the "first sucker-punch." The post suggests the commissioner may fine the outlet a full $100,000, before it directs the reader to a link to donate to Rebel Media. "Rebel Media often expresses its editorial perspective in a confrontational tone, but that expression is designed to encourage people to visit its website and it's also designed to provoke debate," Kozak said. The Office of the Alberta Election Commissioner has been active in recent months, receiving 134 complaints between when it opened in July and the end of November. Yash Sharma, a disqualified Alberta Party candidate in Edmonton-Ellerslie, was assessed two fines totalling $2,400 in October for soliciting and accepting illegal political contributions, and incurring expenses outside the campaign period. On Dec. 6, the election commission handed website Alberta Can't Wait a $1,000 fine for not filing contribution statements in 2017 and 2018. The political action committee is a coalition of Conservative organizations formed after the NDP took power in 2015, according to the website. The office of the election commissioner did not return a request for comment from CBC News by publication time.